The hotel at night is a lovely place. I mean it. It’s not just the quiet, and the feeling that all the guests are safely stowed away, or going about their business in the privacy of their rooms. Headphones enliven the hourly rounds, and cut the ghostly vibraphone echoes in the halls. 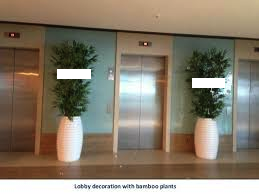 The lobby is also host to plant life. The green beings who abide at the Kranepool grok thoughts provoked by obsessive oeuvres upon which this night porter is currently fixated: Stevie Wonder’s Songs in the Key of Life, and The Secret Life of Plants, by Christopher Bird and Peter Tompkins. Harry the hydrangea is often shy. Try this experiment: slap on headphones. Get next to your fern and listen to the album while you read the book. Or head to the nearest Park, if you don’t keep plants at home. Sit under a tree, preferably a palm. Feel what the vegetable kingdom’s feeling. A little moisture and a kind word or two will bring out a plant's better nature. A colleague in Los Angeles recently wrote that plants are slaves from another world, kept on Earth against their will. Though it’s not specified in the Night Porter’s job description, the lobby’s green guests now get a sponge-bath and a sincere talking-to every night. Everyone feels better, afterwards. The polygraph says so. Di notte l’albergo è un posto meraviglioso. Dico sul serio. Non è solo la quiete; nemmeno la sensazione che gli ospiti sono a riposo, al sicuro, o che comunque fanno gli affari loro in privato. Le cuffie acustiche animano le ronde, e isolano dagli echi di vibrafono nei corridoi. La hall del Kranepool ospita anche vita vegetale. Gli esseri verdi che alloggiano qui captano le vibrazioni ispirate dalle ossessive opere dalle quali sono attualmente ossessionato: Songs in the Key of Life di Stevie Wonder, e The Secret Life of Plants (La vita segreta delle piante), di Christopher Bird e Peter Tompkins. Provate a fare questo sperimento scientifico: avvicinatevi alle vostre orchidee domestiche, mettetevi le cuffie, e leggete il libro mentre ascoltate il disco. Oppure andate al parco più vicino, se non tenete piante in casa. Sedetevi sotto un albero, preferibilmente una palma. Sentite ciò che sente il regno vegetale. Un collega portiere di notte a Los Angeles ha scritto di recente che secondo lui le piante sono schiavi fatti arrivare contro il loro volere da un altro mondo. Anche se non è specificato nella descrizione del lavoro del Portiere di notte, gli ospiti verdi della hall ora vengono lavate con un panno umido e tenute in conversazione ogni sera. Tutti si sentono meglio, dopo. Lo conferma l’elettroencefalogramma.